Over the past few years, the Mair family’s wine label Grace Farm from Australia’s Margaret River region has been turning heads and getting wine tongues wagging. 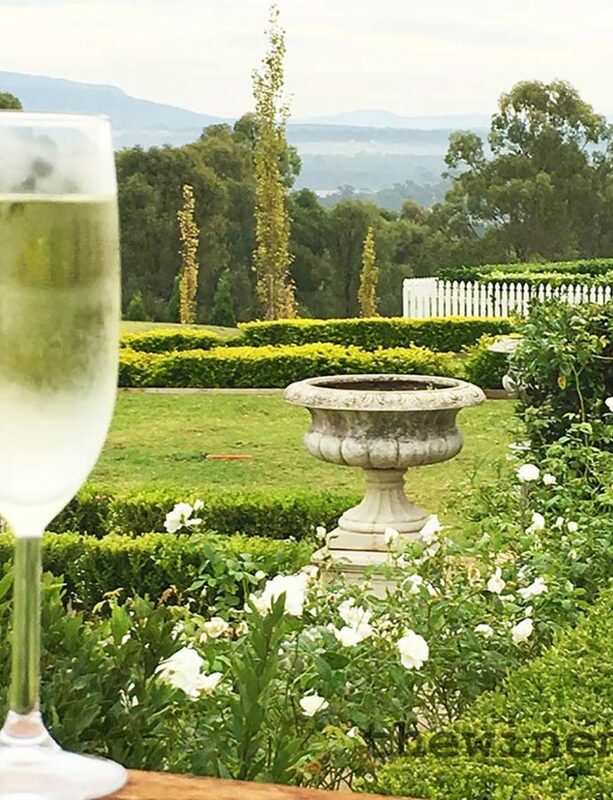 Although their first vintage was 2011, it is only recently that the wines have become available to anyone outside Perth and its southern surrounds. As a family, they share the sustainable farming ideal and grapes are just one of the crops produced on Grace Farm. Considering the vineyard is still young, if the current releases are any indication, Grace Farm is going to quickly become a highlight of the bunch of small boutique family owned wineries of the Margaret River region. 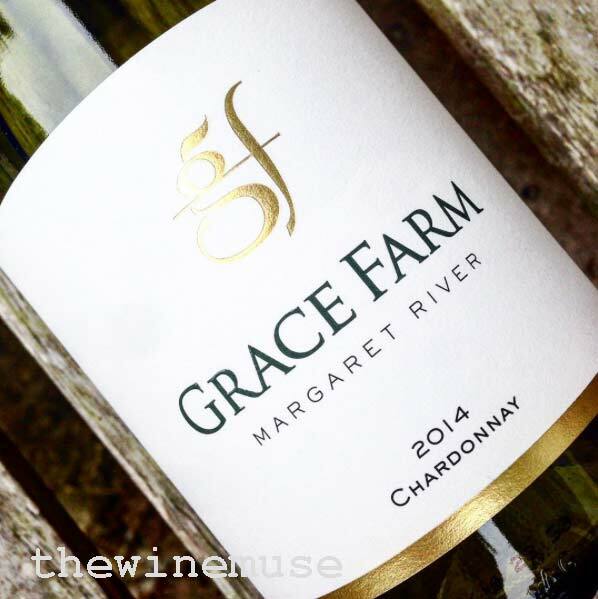 Grace Farm Chardonnay 2014 ($30) strikes the balance of richness with freshness with its shapely curves. Starting out with citrus, peach and spiced butter, this wine finishes with a flow of nutty, cinnamon cream and melon. It is a wine that has a lot to offer for its price. Close on the heels of the acclaimed 2014 vintage, the just released Grace Farm Sauvignon Blanc Semillon 2015 ($21) is a wine that I found hard to put down. It is a field blend that has had some portion worked wild yeast and barrel ferment batches blended with pristine stainless steel Margaret River fruit, the fragrant tropical passionfruit and melon fruit introduce the drinker to the citrus, savoury cinnamon spice pastry notes underneath. That time in barrel has given the wine a polished silkiness that fills the mouth long after the wine has left. Just like the Chardonnay, it is a beguiling mix! The Grace Farm Cabernet Sauvignon 2014 ($30) is also a field blend with some small amounts of Malbec, Petit Verdot and Cabernet Franc filling out the mouth. On first pour the wine announces itself with a whiff of violets that settles into classic black currant and dried herbs spiced up with nutmeg, caramel and blueberries. Rich and smooth tannins, warm spicy vanilla supports the juicy ripe fruit and completes the wine. It is a densely packed mouthful now and would be good for mid term cellaring to let that fruit shine. What is Grace Farm’s vinous history? Phoebe: Grace Farm was purchased in 2003 by my parents, John and Elizabeth Mair. It had been a small cattle farm, an original CP (conditional purchase) block. We were a family of beach goers (5 children) and surfers and Dad knew we would all want to spend time at Grace Farm. His first love is farming. He migrated to Australia in 1962, aged 19 and worked as a “jackeroo” on numerous properties. His first rural enterprise was in WA’s wheat belt but the farm was sold in the early 80’s. His dream was always to find the right small property and a rural escape. The moment came in 2003. The first vineyards were planted in 2006 with the first commercial release, an SBS, in 2011. Pristine bushland makes up half of the property with 8ha planted to vine. Organic fruit and vegetables are also grown at Grace Farm, including avocados and olives. With a few good laying hens, our own olive oil (pressed locally), seasonal fruit, veggies and herbs we are almost self-sufficient. A friend keeps bee hives at the property and provides regular honey to our family and the bees help pollinate fruit and flowers! We also have a bread maker and a wonderful pizza oven. What makes Grace Farm special/unique? Phoebe: We love the location of Grace Farm – it is situated in the so-called ‘golden triangle’ of the Margaret River wine region, in the lee of the Leeuwin Ridge. It is the closest vineyard to the coast and coastal hamlet of Gracetown. The property is undulating and the Cowaramup brook provides a scenic and varied landscape. Birdlife is abundant and we work with the local Cape to Cape Catchment Group in trying to preserve and protect the native flora and fauna at Grace Farm. The region has gained international recognition as one of only 25 biodiversity hotspots across the globe enabling co-habitation of natural assets and vineyards. The maritime influence provides cooling breezes, which ameliorate the effects of summer heat and produce elegant flavour profiles in the wines. The vineyard is characterised by the distinctive forest grove soils, which typically produce some of the finest wines from Margaret River. Interestingly, Grace Farm was not bought with the intention of becoming a vineyard necessarily…my parents considered many options. A number of locals who they spoke to suggested it could be a prime viticultural site, (given the above) so we looked into it further and were soon introduced to Tim Quinlan, who has been our viticulturist from Day 1. At the time, Tim was consulting to a number of nearby properties while also tending to his own organic vineyard. Tim brought a passion in organic and sustainable farming to Grace Farm – this had an immediate impact on our growing philosophies. While not every family member is an employee, everyone certainly has an input in some way. Grace Farm is very much family owned and operated in that sense. We also have a great relationship with Tim and our winemaker Jono Mettam, that they almost feel like family too! Tim and Jono also have a strong relationship and have known one another since school days in Perth. Tim and Jono are a great team and are focussed on a vine-to-wine philosophy and producing single vineyard, estate grown wines. Which grape varieties do best on the vineyard? Phoebe: Choosing the best performing variety is difficult because the geographical location of Wilyabrup, lying in the central part of the Leeuwin-Naturaliste stretch, allows unique varietal expression in both whites and reds. Due to the soil composition, water drainage and Mediterranean influence, the vineyard is producing beautiful examples of Bordeaux red and white blends as well as elegant, fruit driven Chardonnays. (We produce an SBS, Chardonnay, Cabernet Sauvignon, and Reserve Cab Sauv but also grow malbec, petit verdot and cabernet franc for blending purposes). What are your future plans for the brand; wines, vineyards, winery etc? Phoebe: In terms of the wine, we hope Grace Farm is recognised as one of Wilyabrup’s and Margaret River’s finest boutique wine producers. We will continue to build a brand that consistently delivers top quality wine and are likely to stick to growing the current varieties, although there are some early discussions emerging around the production of Rosé! We also hope to lead the way with environmental initiatives, minimising our carbon footprint. A year ago we started offering Tastings by appointment so people can see the beauty of the farm first hand, but also meet Tim for an educational wine tasting experience – one you can’t find at every other vineyard or cellar door. The next step will be the establishment of a proper cellar door… it’s certainly a discussion point but nothing is set in stone yet! What are some of the sustainable initiatives that you have recently implemented in the vineyard? Phoebe: Sustainable farming practices underpin the ‘story’ of Grace Farm. Vines are cane-pruned on a single cordon wire with a vertically trained canopy and are managed with biological inputs such as compost, fish emulsion and kelp. Over the past few years we have been producing compost on site using green waste from tree prunings blended with grape by-products recycled from the winery. Non-leaching mineral fertilisers and organic foliar sprays are applied in addition to the compost in order to preserve soil health and the condition of the natural streams dissecting the vineyard. What has been the greatest challenge for Grace Farm so far? Why? Phoebe: Securing new sales accounts and increasing our distribution in a competitive market has probably been the most challenging aspect so far. However, the awards and endorsements we have won to date and in particular in the past few months, will provide us with the necessary tools to attract new business. If you could only produce one wine from Grace Farm, what would it be? Which vintage so far has been the most memorable? Why? Pheobe: The 2012 vintage has been the most memorable – we won our first trophy for Cabernet Sauvignon at the Perth Royal Wine Show 2013 which really helped build initial brand awareness for Grace Farm and in particular, for a wine for which Margaret River is famous. Christmas is coming up: What will grace the Mair Family table this year? Phoebe: Our immediate family is big and growing so each Christmas is becoming a little more chaotic. This year we will all be together under one roof for a classical Christmas feast with all the trimmings and of course plenty of Grace Farm wine! Our organic vegetable patch and orchard play a key role in providing lots of home-grown fruit and veg for large meals such as these. We also like to think Grace Farm might appear on a few other tables at Christmas! You can also buy their wines directly, via www.gracefarm.com.au . The family encourage visitors to come and visit the property to see what a beautiful and special place it is. So please take this as an invitation and say you saw it on winemusing…. To book a tasting, simply contact Tim at tim@gracefarm.com.au or 0438 930 527.